Benjamin Grosvenor is making a name for himself as one of the most talented young pianists in Britain today. The youngest of five brothers, Benjamin Grosvenor began playing the piano aged 6. He first came to prominence as the outstanding winner of the Keyboard Final of the 2004 Young Musician Competition at the age of 11. Now 19, Benjamin is a student at the Royal Academy of Music. Benjamin’s orchestral performances have taken him to such prestigious venues as the Barbican, Muza Kawasaki in Tokyo and the Royal Albert Hall, and he has worked with numerous esteemed conductors, including Alexander Lazarev, Vladimir Ashkenazy and Alan Buribayev. Benjamin has already been involved in a number of successful recordings, such as his recordings for the 200th anniversary edition of Chopin’s complete works (EMI, 2010), which received outstanding accolades. 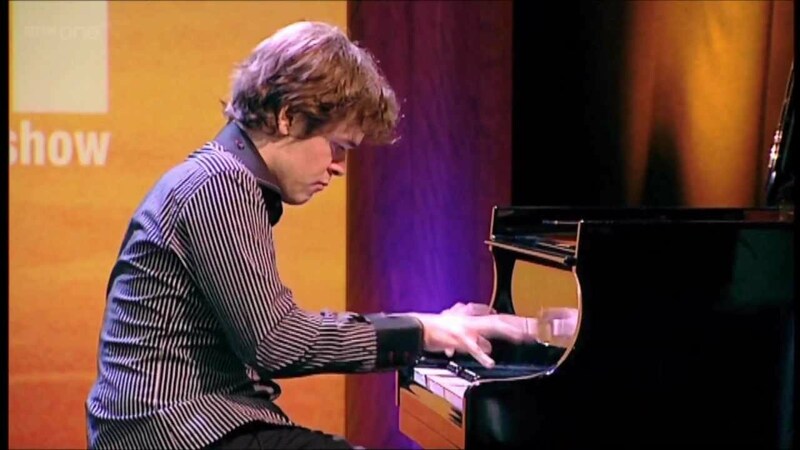 In 2011 Benjamin Grosvenor signed to Decca Classics, and in doing so has become the youngest British musician ever to sign to the label, and the first British pianist to sign to the label in almost 60 years. His first recording for Decca includes Chopin’s Four Scherzi and Ravel’s Gaspard de la Nuit and was released in July 2011. At the age of ten, in 2003, Benjamin became the youngest ever winner of four competitions - The Southend Young Musician of the Year,The Essex Young Musician of the Year, The Emanuel Trophy and The EPTA Trophy. Benjamin Grosvenor on his "exciting few years"
Benjamin Grosvenor played a virtuosic Ravel Toccata on a Casio keyboard. And it sounded spectacular.